Growing old in the home we built is something we all hope for, but it gets tricky after a certain age. Here’s how to help your aging parents stay at home. Nobody likes to think about what will happen when mom and dad’s health and mobility decreases. But when you notice your parents are having trouble cooking, cleaning, or showering, it’s time to think about their options. While independent living and assisted living facilities are available, 87% of seniors want to continue living at home. If you’re parents fall into the overwhelming majority, you may not know how you can help them safely age in place. The good news is that this is possible. Keep reading to discover our guide for helping aging parents stay at home. Before you commit to keeping your parents at home, realistically think about the level of care needed. You should talk to your parents about this, but take what they say with a grain of salt since many seniors downplay how much help they need. If your parents need around the clock care, it may be safer and more affordable for them to move into an assisted living facility. However, if they only need help with things like cooking, cleaning, and a morning routine, there are options to help them stay at home. Start by writing a list of everything your parents will need help with. Be sure to include daily, weekly, and monthly tasks. Then, sit down and decide how much of this you can help with. Many children try to handle everything on their own and end up burning out. Don’t overwhelm yourself with being the sole caregiver. Take your job, family life, and personal life into consideration and figure out how much help you can provide while still having enough time to relax and keep up with your other responsibilities. If your parents need daily care, you’ll likely need to enlist some help. Going over for an hour before work to help them get dressed and brush their teeth may not seem like a lot, but it will quickly wear on you. Talk to your siblings and other members of the family. Ask if they’d be willing to provide some care as well. Once you and your family have decided how much care you can handle, you’ll know how much additional help you’ll need. The idea of bringing a stranger into the house to care for mom and dad isn’t favorable with many families. However, most companies, like Families Choice Home Care, do background checks and try to keep caregivers constant, so you’ll get to know who is caring for your parents. In-home caregivers can assist with tasks like bathing, brushing teeth and hair, cooking, light cleaning, transportation, and incontinence care. However, they are not medical professionals, so they are unable to administer medication, clean wounds, or provide any other medical service. They also typically won’t do heavy housework, like cleaning gutters, shoveling snow, and mowing the lawn. The schedule for in-home caregivers is flexible, so you can hire them for as many hours and at whatever time you need. This is ideal for families who need a little extra help but don’t require care 24/7. Did you discover the only task you can’t help with is cleaning? While in-home caregivers do clean as part of their job, it’s more affordable to hire a cleaning service if your parents don’t require any other care. You may also want to find someone to help mow the lawn once a week, so your parents’ home stays well-maintained. Do your parents struggle with mobility issues? Do they get off-balance or lightheaded if they stand for too long? These can pose serious safety issues, especially if they don’t have around the clock care. To help ensure your parents stay safe when home alone, be sure to update their home. Add a seat and handlebar in the shower and a handle next to the toilet. Rearrange their kitchen cabinets, so they don’t have to bend over or get on a ladder to reach important objects. If they live in a two-story home, consider making everything they need on the first floor, so they don’t need to go up and down the stairs multiple times a day. A few simple changes can make a world of difference. One issue many seniors don’t talk about is loneliness. 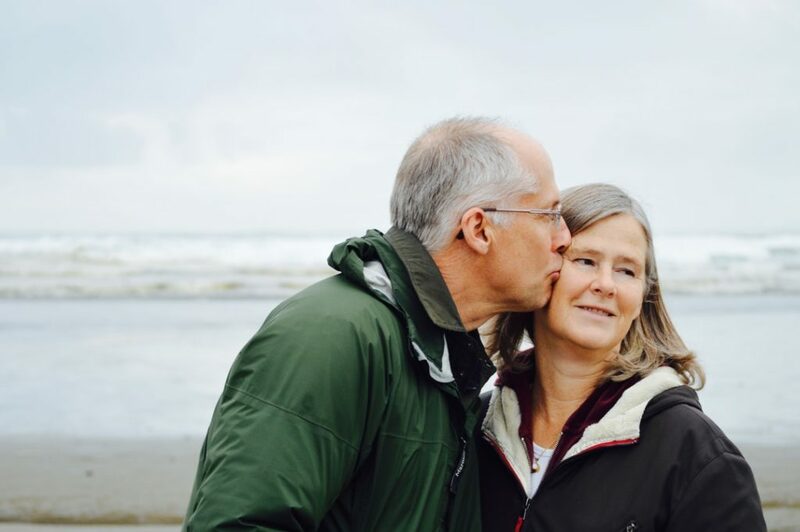 If your parent has lost their spouse and doesn’t get out of the house much, they are likely feeling very lonely and may even suffer from depression (even if they don’t tell you). If your parent(s) don’t want to move into a facility, consider getting in touch with the local senior center. Many offer transportation, so your parents can socialize and make new friends instead of staying home alone. This transportation service may also offer rides to places like the doctor’s office and the grocery store. The senior center also has a wealth of information about various programs that can help your parents remain at home. The last step in helping your aging parents stay at home is to research all the programs you can find. Services like meals on wheels (or other food delivery services) can ensure your parents get three meals a day, which means they won’t require as much help cooking and grocery shopping. There are also programs that can help pay for insurance, medication, and in-home care. These programs can take a huge weight of your (or your parents’) shoulders if there is a financial struggle. If your aging parents require care, that doesn’t necessarily mean they need to move into a facility. Just follow our guide for helping your parents age in place, so they can remain safe and comfortable in their home. Are your parents suffering from dementia or Alzheimer’s? Read this article to learn what activities you can do with them to stimulate their brain and get them up and moving.